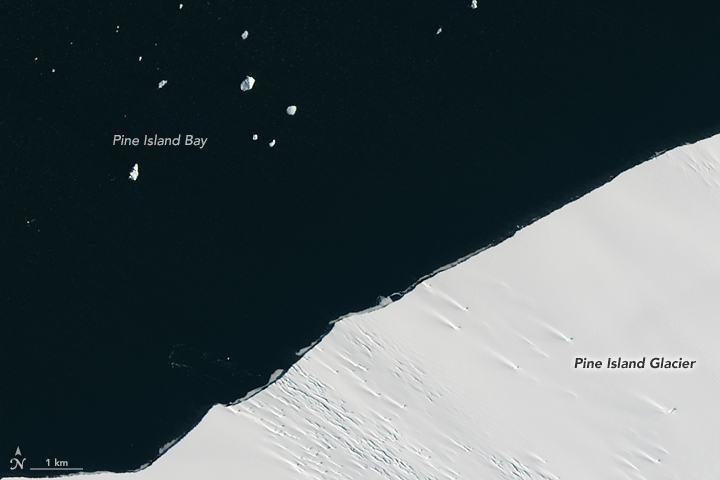 Pine Island is one of the main glaciers responsible for moving ice from the interior of the West Antarctic Ice Sheet to the ocean. It already delivers plenty of ice to Pine Island Bay—about 79 cubic kilometers (19 cubic miles) of ice per year. But scientists watch this glacier closely because the evidence has been pointing to even faster loss of ice in the future. Such a retreat would lessen the shelf’s buttressing effect, allowing more inland ice to flow out to the ocean, where it ultimately melts and contributes to sea level rise. The Operational Land Imager (OLI) on Landsat 8 captured these images of Pine Island Glacier’s floating edge before and after the recent break. The top image shows the area on January 24, 2017, while the second image shows the same area on January 26. About a kilometer or two of ice appears to have calved (broken off) from the shelf’s front. 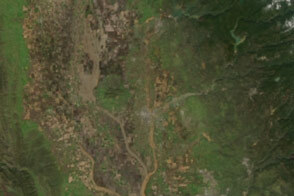 The animation above shows a wider view of the area. 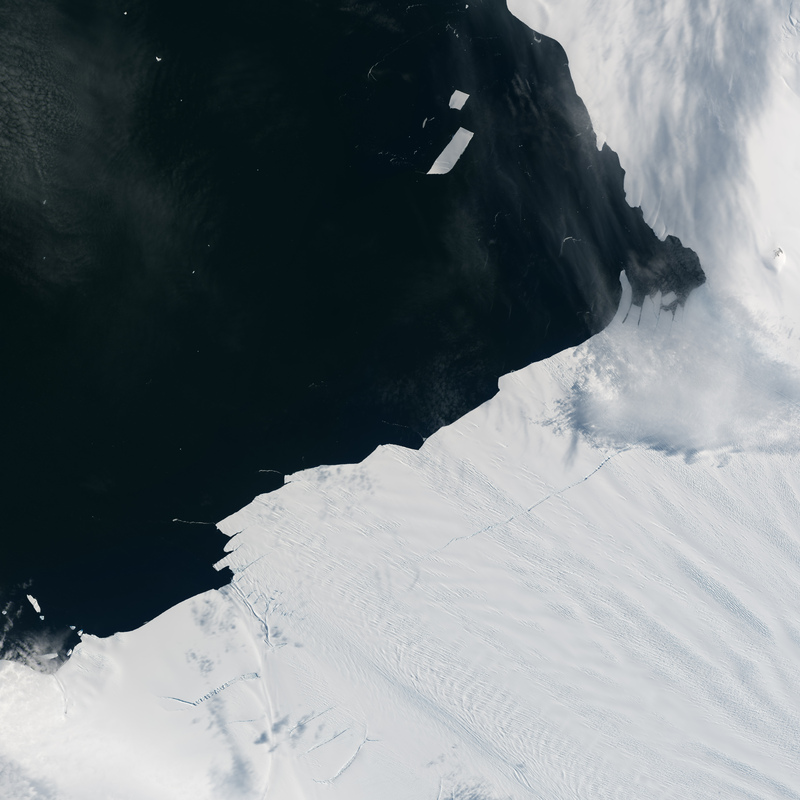 The sequence, composed from images acquired January 25–29 by the Moderate Resolution Imaging Spectroradiometer (MODIS) on NASA’s Terra satellite, shows the berg when it first broke and then as it drifts in the bay. 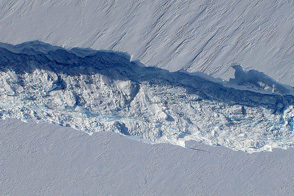 According to Ian Howat, a glaciologist at Ohio State University, the event was about 10 times smaller than in July 2015, when a 30-kilometer-long (20-mile) rift developed below the ice surface, then broke through and calved an iceberg spanning 583 square kilometers (225 square miles). 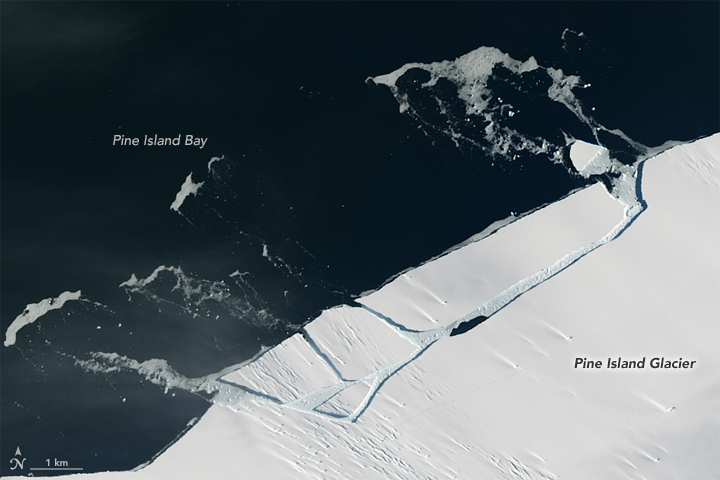 Although not visible in these images, more small rifts persist on Pine Island about 10 kilometers (6 miles) from the ice front. 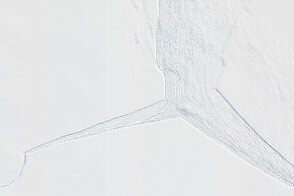 One such rift was photographed on November 4, 2016, during a flight of NASA’s Operation IceBridge—an airborne science mission that makes annual flights over this area. 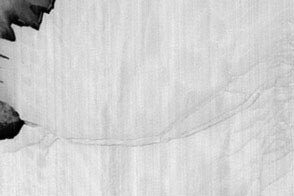 Other rifts are less visible at the surface because they are growing upward from the basal (bottom) side of the shelf. Scientists expect that these rifts will result in more calving in the near future. NASA Earth Observatory images by Jesse Allen, using Landsat data from the U.S. Geological Survey and MODIS data from the Level 1 and Atmospheres Active Distribution System (LAADS). Caption by Kathryn Hansen. 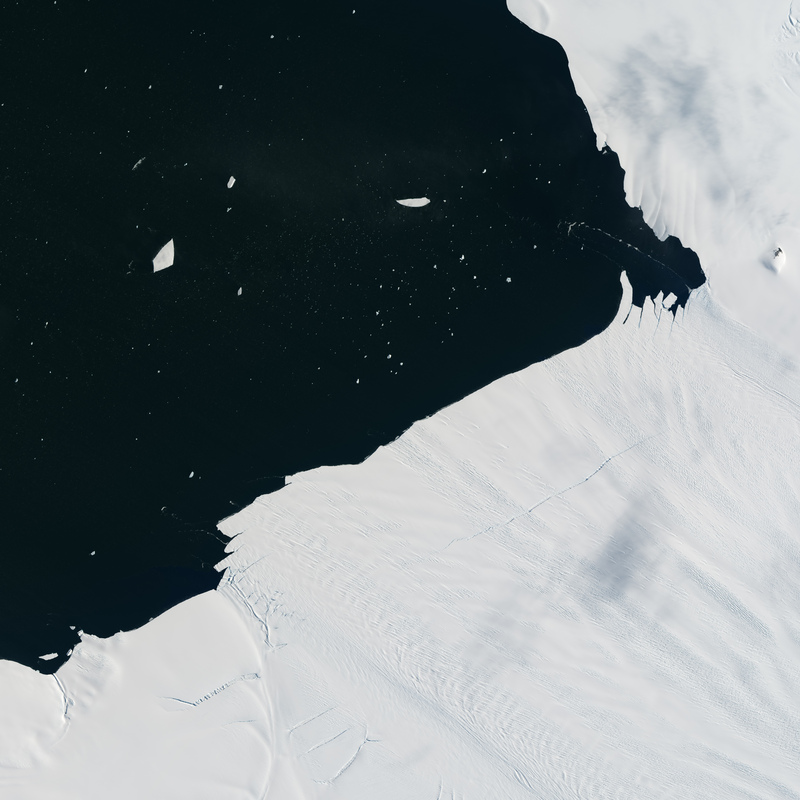 Pine Island Glacier has shed another block of ice into Antarctic waters. Arctic Sea Ice Forum (2017, February) PIG Has Calved. Accessed February 14, 2017. Jeong, S. et. 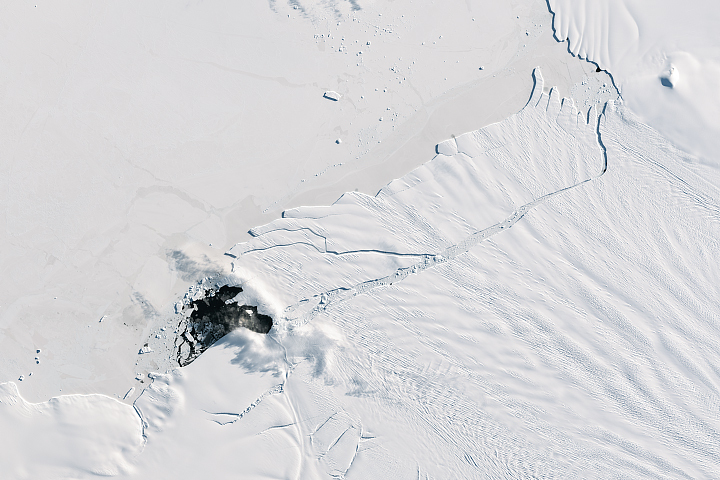 al (2016, November 28) Accelerated ice shelf rifting and retreat at Pine Island Glacier, West Antarctica. 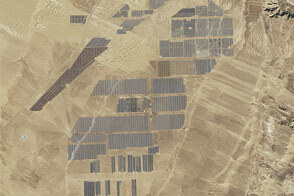 Geophysical Research Letters, 43(22), 11,720–11,725. NASA Earth Observatory (2014, November 6) Antarctic Landscape Illuminated. 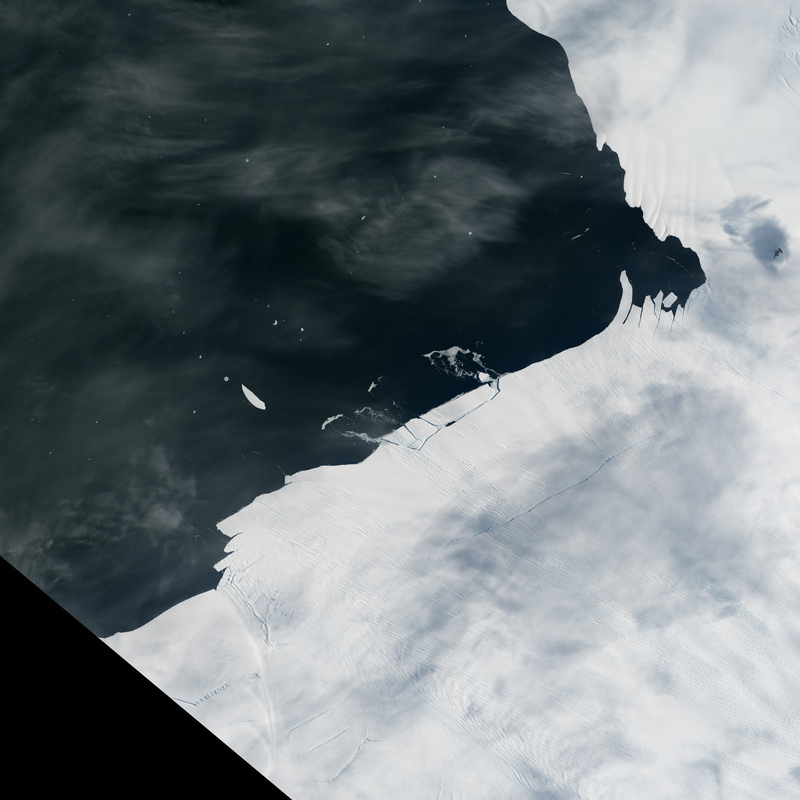 NASA Earth Observatory (2014, April 18) Drifting with Ice Island B31. 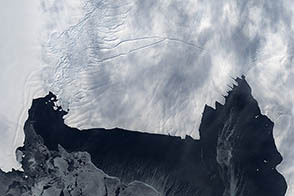 The Ohio State University (2016, November 28) Researchers trace the origin of a 2015 iceberg to a crack that formed deep beneath the ice. Accessed February 14, 2017.